Drivers in Brisbane are among the lucky folk, as they have some particularly remarkable options to explore, and can do so in any direction they choose. If you’ve already adventured into the spots in our last post then we’ve come up with a refresher for those still unsatisfied. We understand many of you may be in the process of selling a car in Brisbane, but don’t let that exclude you from these opportunities. Maybe it’s a last sentimental journey in your much-loved vehicle, or maybe it’s something to look forward to after you’ve passed your car along. The stunning Queensland coast is often the star of the show in any scenic driving blogs on the area, but the roads inland shouldn’t be overlooked. But if they are, that means all the more peace and quiet for you. This trip is only about 80 Kilometres in total, but it can be taken in pieces and enjoyed as an entire day-long ride. To begin with, you can head straight north out of Brisbane CBD on state route 15 through Fortitude Valley, then make your way onto Gympie Road, the M3 and finally onto State Route 58, the Dayboro Rd, (which should give you a hint on the final destination). Roughly 45 minutes of driving will land you in Old Petrie Town, a quaint and charming village of restored historical landmarks that has retained it’s pre-1930’s feel. The absolute highlight here is the Sunday morning market where locals offer produce, art, and pre-loved goods. If you’re travelling on another day of the week you’ll still get to walk amongst the permanent village shops and the 300 year old Moreton Bay Fig trees. 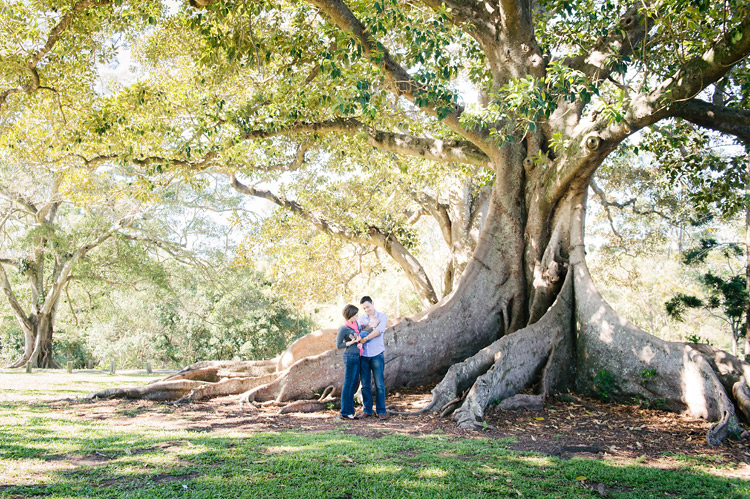 Giant Moreton Bay Fig Trees in Old Petrie Town. Sixteen kilometres further up State Route 58, take the Williams St. exit and head into the township of Dayboro. You may be less than an hour from the big smoke, but this little town feels like a time-warp back to the good old country vibes with a small-town, laid back, community attitude. Although unassuming, Dayboro offers a few slightly off-centre activities. 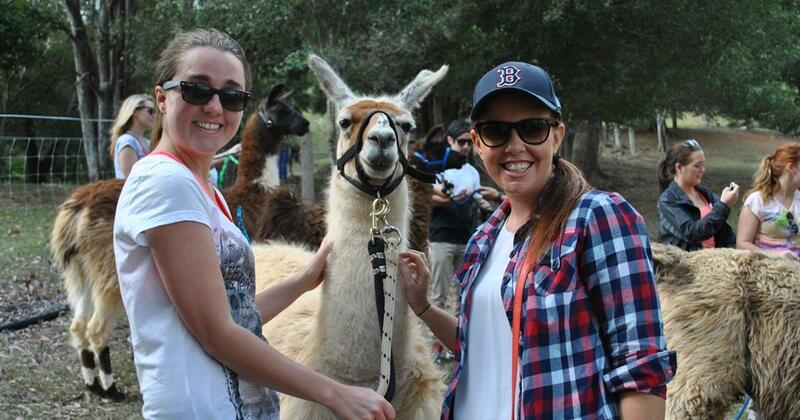 You can take a Llama ride through the streets and then hang out for afternoon tea, or eat lunch at Holistic Mamma’s Organic Cafe which includes it’s own beauty bar providing non-toxic spray tans and facials. Hey, why not? Llama walks in the township of Dayboro. If you heed advice from above and head out on a Sunday, you can hit the Dayboro markets as well and wrap up the stop at the Henry Bradley and Tullamore Parks, also lovely places for a picnic if you scored some goodies. If you’re still looking for dining options, there’s a particularly spectacular spot as you leave Dayboro, after the winery, called Pitstop Cafe. Yes, it’s a 1960’s iron shed with motorcycle memorabilia and vinyl couches, but they’ve got a wood fire, fresh mountain air, and the most stunning view of the drive so far. Definitely worth stopping, at least for a cup of coffee. The view from Pitstop Cafe! Just a few kilometres back on the 58, you’ll pass the Blue Ridge Lavender Farm. If you were planning on having an overnight stay out of the city, this place gets our vote in terms of charm and luxury. 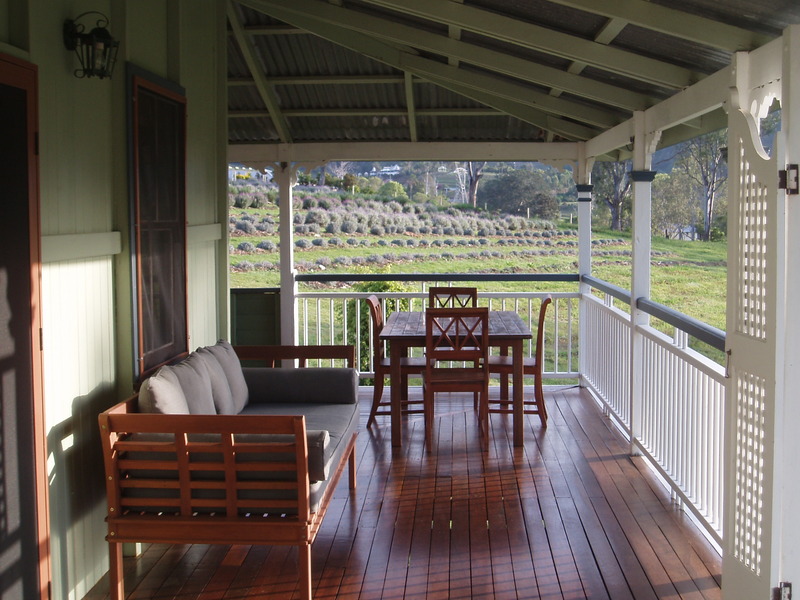 Set in an old refurbished Queenslander, the retreat is set amongst expansive Lavender fields. You can choose to indulge in spa services including shiatsu, chinese acupressure, swedish massage or reflexology, or you can bathe in the comfort of your own room where you are provided with their entire range of dreamy lavender products for self-pampering. If you’re not the aromatic, romantic type, simply forge ahead on the highway. The quiet cottage at the Blue Ridge Lavender Farm. On the right hand side you will notice the Ocean View Estate Winery. This is great stop if you’d like to have the full “wine experience” and even a little bit more. The winemaker himself is often available to take you on a tour through the meditative rows of vines before a tasting in the cellar door and the recently added brewery. You can picnic lakeside next to the grapes are ride horses through the grounds. If you’re feeling extra fancy, they even give helicopter rides over the stunning wine region. 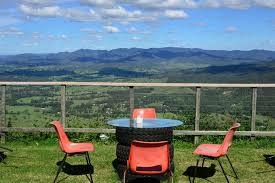 Enjoy an hour or two of decadence before heading back towards route 58, the Mt Mee scenic drive. The stunning restaurant at the Ocean View Estate and Winery. Fifteen or twenty kilometres further, take a left turn onto Sellin Road. Just a 150 metre stretch and you’ve made it to the base of Mt Mee. Park your car at the old sawmill, locally called ‘the Gantry’ and stretch out those driving legs on one of the bush-walks the depart from here. If you want to keep it short, choose the Piccabeen trail for a 1 kilometre loop, or go a bit deeper and head out on the Somerset Trail, a four hour circuit through old eucalypt forests and the Somerset Dam and Wivenhoe Lake. The Mt Mee forest reserve is home to rainforest, scribbly gums, crystal clear creeks, hoop pines, and views of the rest of the D’Aguilar Range. If you weren’t into the upscale comfort of the Lavender farm, perhaps you’ve find respite here in one of the many campsites deep within this thriving bush. Make sure you’re mindful about Four-wheel-drive roads, some of them can get a bit wild. Summit views along the Somerset Trail on Mt Mee. Out of the forests and waterways, the town of Mt Mee is a delight in itself. although home to under a thousand permanent residents, has become somewhat of a hot spot for coffee and fine cheese. The surrounding volcanic soil in the area is particularly good for growing coffee beans and although it is home to under a thousand permanent residents, Mt Mee has become somewhat of a hot spot for coffee and fine cheese. One of the best places to enjoy these goods is just out of the centre at the Dahmongah lookout. Yes, amongst views of the Glasshouse Mountains, the eastern Sea, and even Brisbane city, a small food stall makes hot cups of locally roasted coffee with Mt Mee Jams, pies, and other yummy snacks. By now you may have had your fill of stunning views, and filled your belly with delicious food, and maybe the time has come to drive back to the ever-fading lights of the Brisbane CBD. From the lookout point, perhaps with a takeaway latte, you can head up the road towards Kilcoy and Woodford townships and make a left at Campbell’s Pocket Road. Catch the Bruce Highway after Caboolture and head south all the way home. Still itching for a bit more adventure. 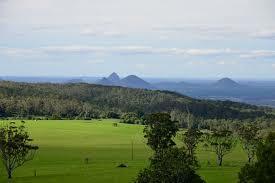 You might like some of these Gold Coast drives, just go here or here!